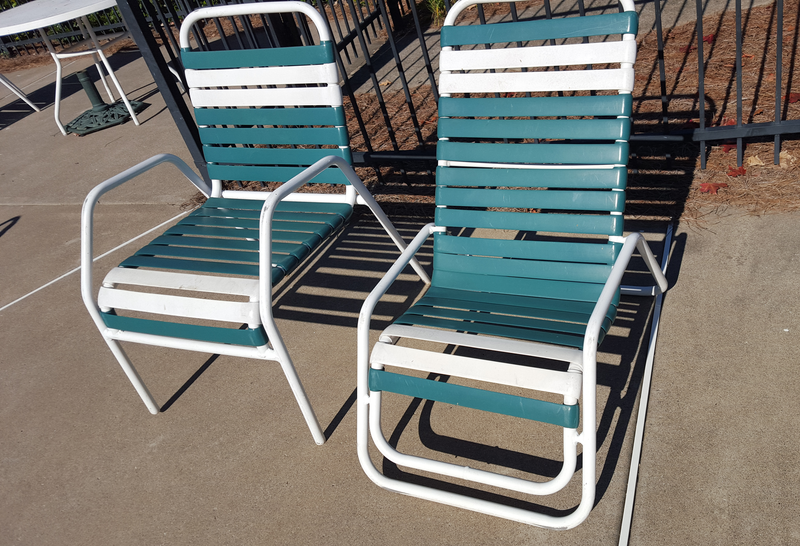 Two Tack-N-Strap provides commercial restrapping, repainting & refurbishing services for swimming pool furniture and has been in business in Atlanta since 1994. 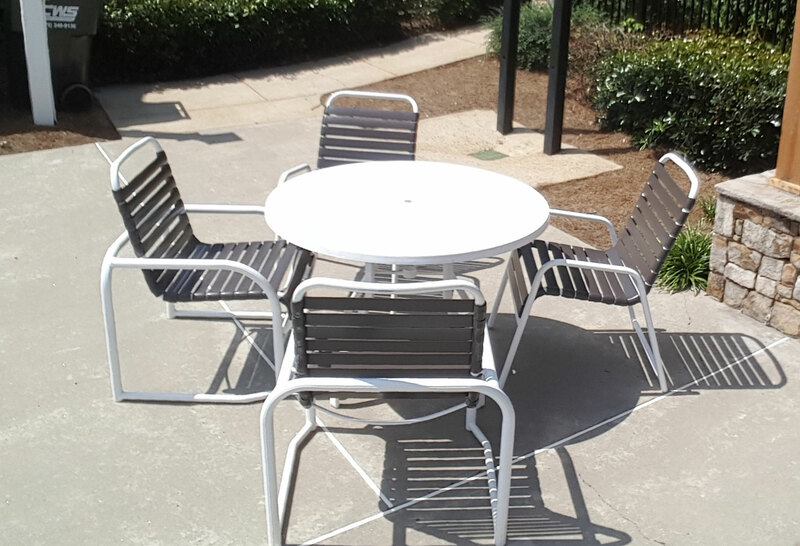 We primarily focus on commercial jobs with over 20 pieces of furniture. Most strapping material comes in 2 sizes: 1.5 and 2 inches. For the last 20 years, most straps are 2 inches, however, if older than 20 years the straps may 1.5 inches. 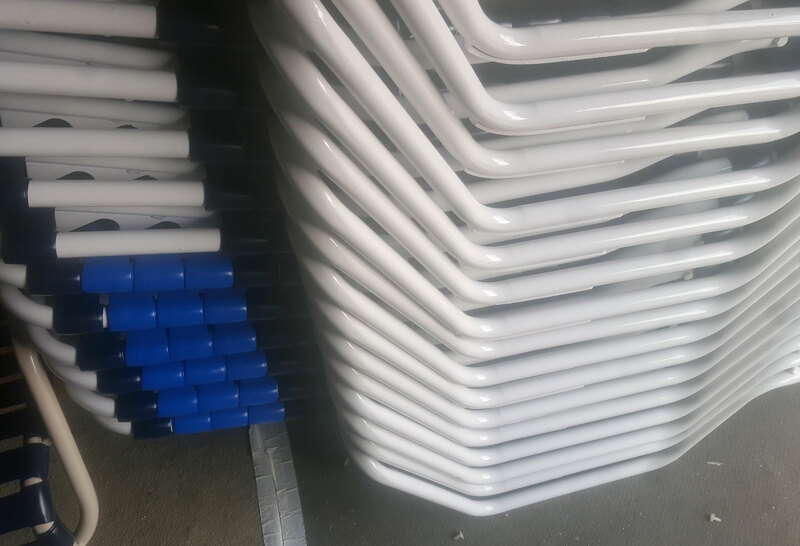 Due to the distance between holds in the frame, whatever size strap is on the frame will have to be replaced on the frame. Straps are held onto the frames in different ways – some have holes with rivets, some have slots with no rivets. These most often can be replaced as well as give you a basically new chair once restrapped and repainted. Here at Two Tack & Strap we repowder coat aluminum frames – we do not work on any iron or metal frames with rust. This is a baked on finish that is done in a 450 degree oven. To do this, all plastic and vinyl must come off the frames. None of that will be reuseable. The new powder is electrostatically applied so there are no runs. It also is applied over the original paint so there must be no spray paint or touch up paint on the frames. Often times we offer free removal of existing furniture if we have sold a customer new furniture. Most of the time these are stripped of existing plastic and recycled aluminum. Sometimes they are good enough to refurbish and we clean them and repaint (repowder coat) them. We usually don’t have these around long, but it never hurts to ask if your club is a little tight this year on pool furniture funds. We will not do this if they won’t last at least 5 years. All of these customers have been very happy in the past and we hope to keep it that way. 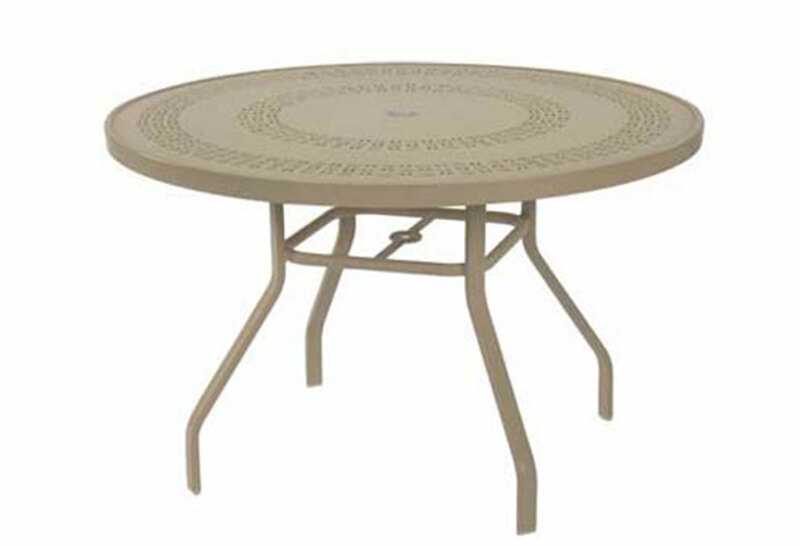 Choose from straps, slings, sling fabric, patio tables & side tables. New furniture usually takes about 4-6 weeks to arrive. If you have purchased new furniture from Two Tack before, we will provide reslinging services. Products are subject to availability and tend to run out the later in the season it gets – make sure to place your order early enough to get it in time for summer and to ensure availability. 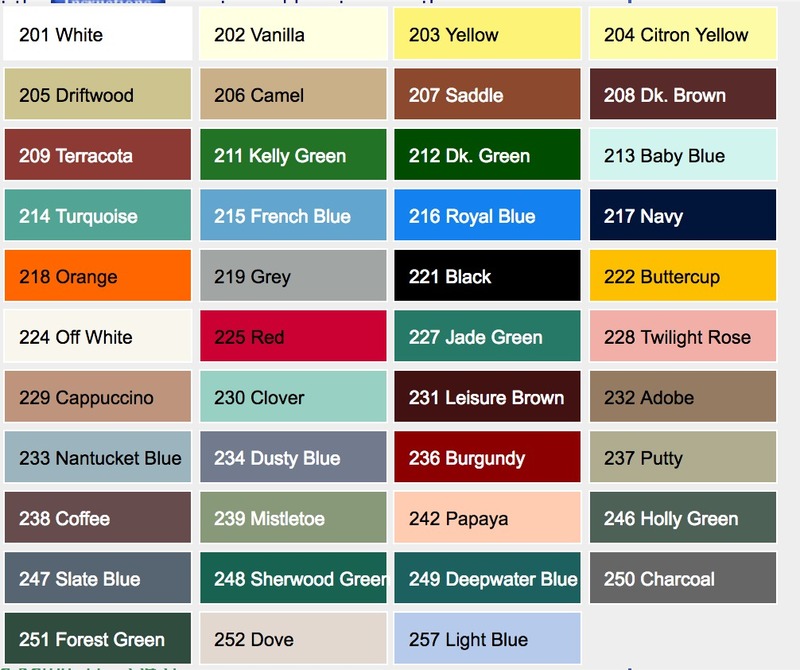 Wondering about colors? 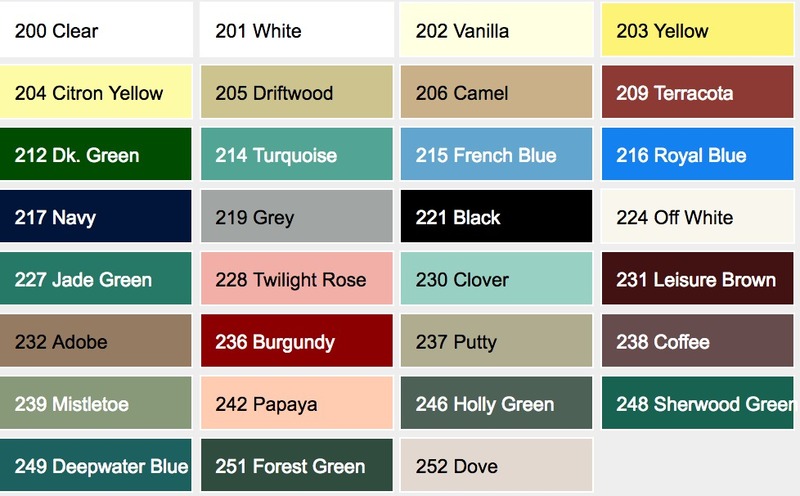 View our color charts!